After a long Great Northwoods winter, we have rolled out our handcrafted inline spinners below. More are on the way. Fly tying keeps us busy with a long list of emergers and dries to catch up before hopper season is upon us! 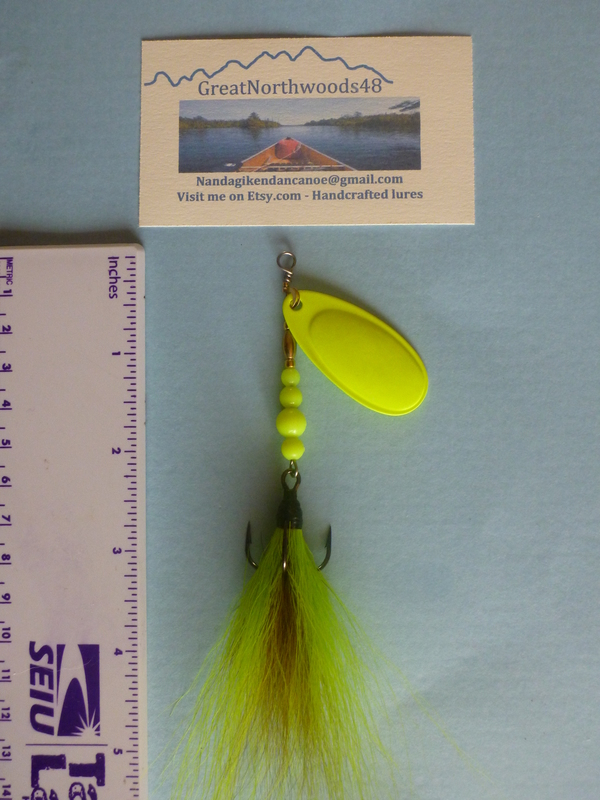 Watch this space as always to view some things that we’ve taken great pleasure in wiling away the long winter months creating…..
One of our handcrafted Red-n-Chartreuse French Blade Inline spinners with dressed bucktail treble size 2 from VMC. We like this one for the red highlight flash of deertail hock hair. …..More is on the way! 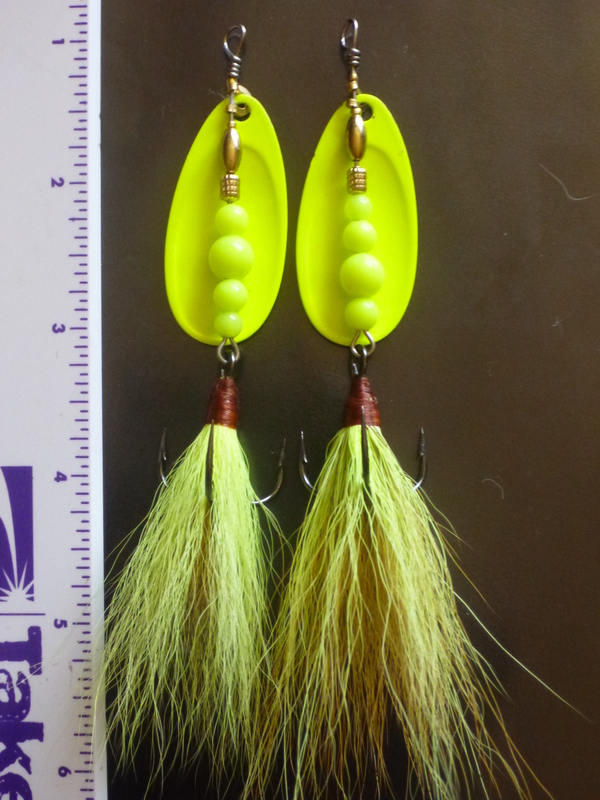 Hancrafted #5 French-Blade Inline Spinners with tied, dressed chartreuse bucktail trebles size 2. The pleasure is in the fun of making and the joy of fishing them! 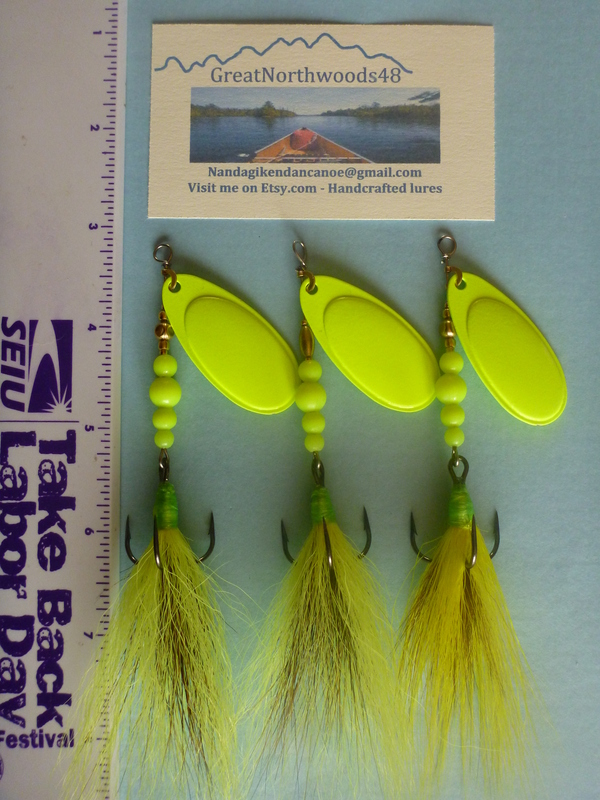 Our handcrafted spinners with chartreuse yellow tails and green finished heads. The #5 French Blades and VMC #2 Trebles make these excellent pike, bass…and even walleye attractors…depending on the season.